Media: Inks and gouache on paper. 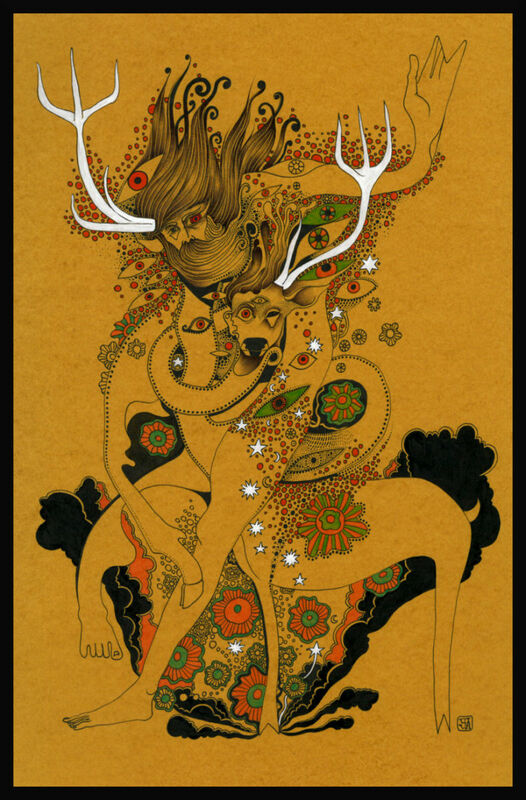 Transmutation into deer. A work influenced by ancient Irish mythology. Created with biro, gouache and mixed media on paper.